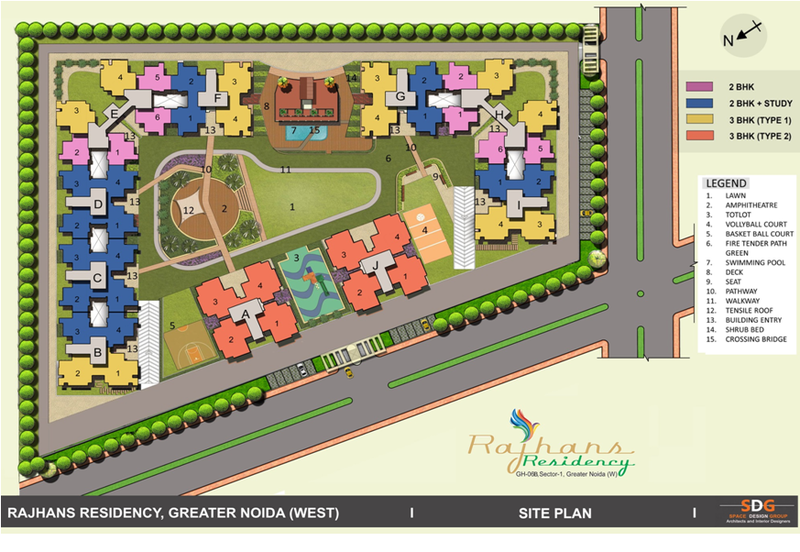 Rajhans Residency is a new residential project in Noida Extension, NCR, India launched by Rajhans Infratech. 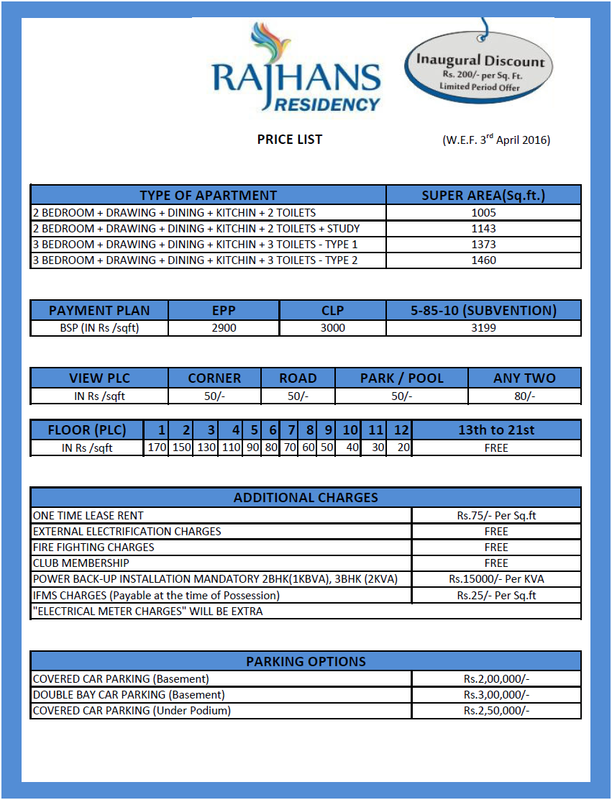 It offers 2/3 Bhk apartments or Flats size ranges from 1005 sq. 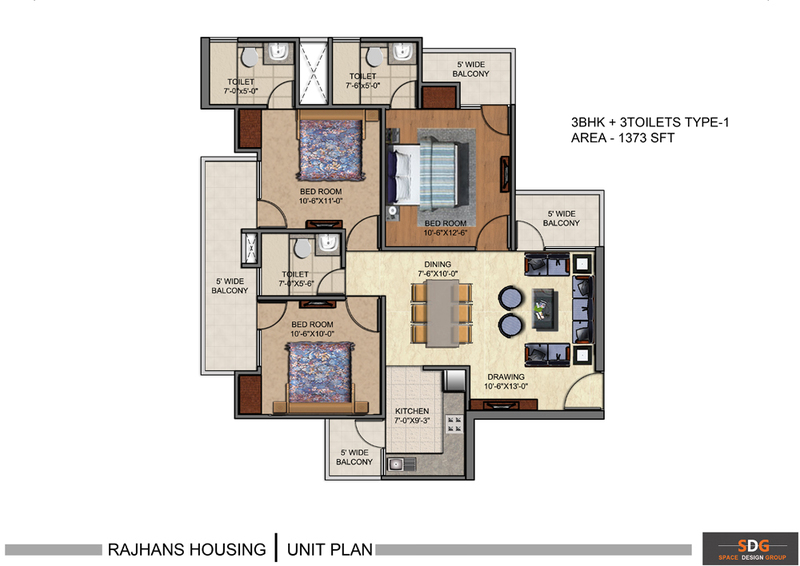 ft to 1460 sq. 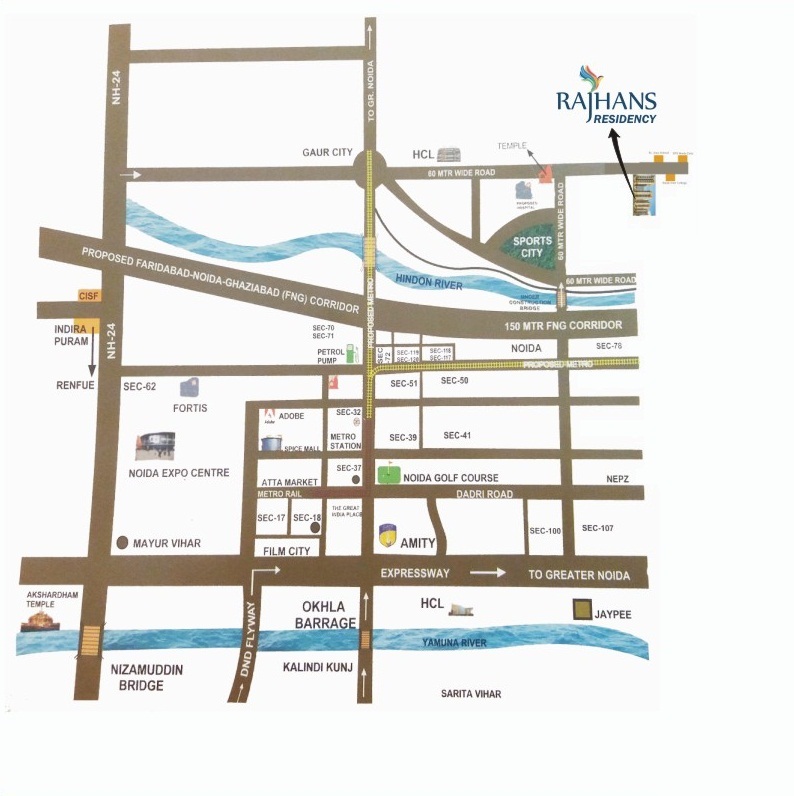 ft. Rajhans Residency, Greater Noida West (Noida Extension) offers you world-class facilities and amenities so close that you never need to stretch out in search of more happiness. 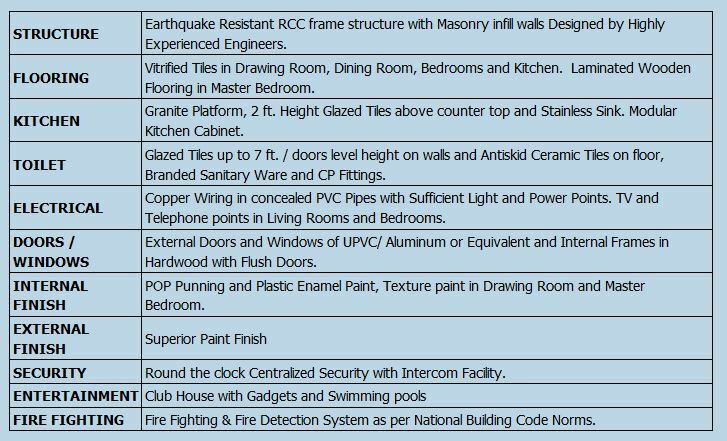 The project offers ample of amenities like rooftop swimming pool, club house, banquet hall, well equipped gymnasium, jogging track, special place for yoga and meditation, car parking, 24x7 security and more. 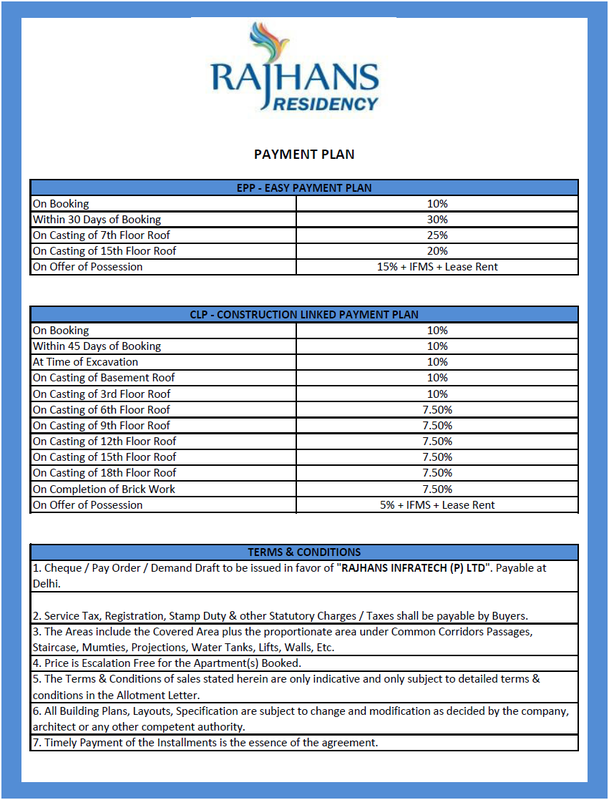 Ready to move projects in noida extension became favorite of buyers due to world class planning and infrastructure. 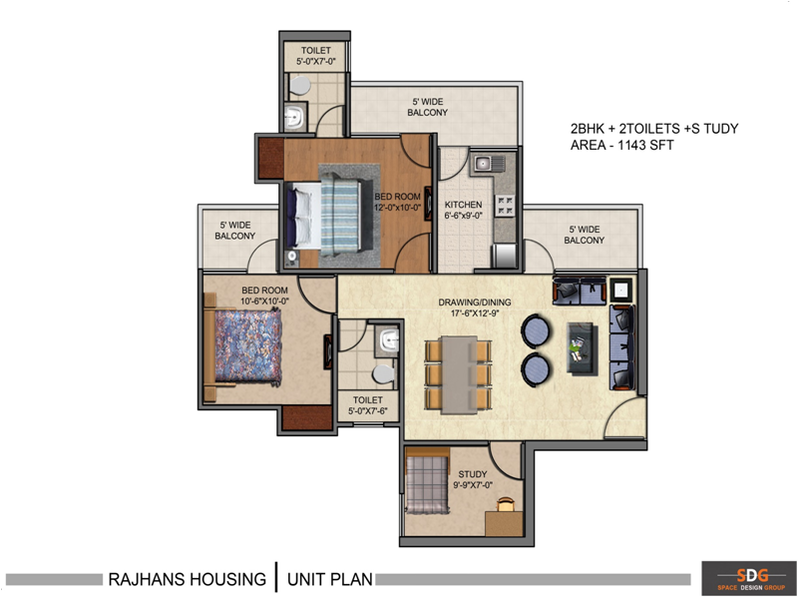 Rajhans Residency is build to provide the residents with the best of modern life style in harmony with lush greenery, pristine beauty, healthy environment, superior design and many other exquisite features, each and every corner of the Rajhans Residency has been planned and designed to perfection. 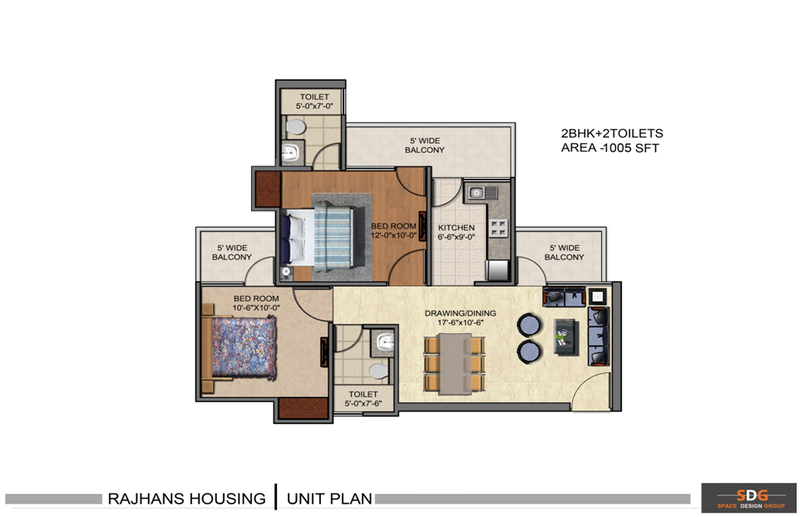 1005 Sqft. 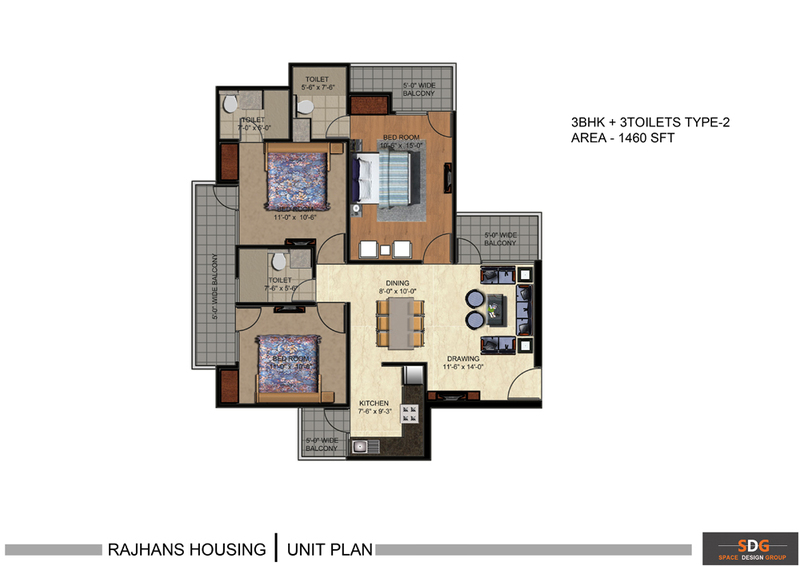 - 1460 Sqft.